Cari Jansen , an artist who realized the struggle to market and sell art work had a dream to offer Ct local artists and artisans spaces in a shop where they could show and sell their creations, and let their voices be heard. It would be well curated to boast only high quality gifts, clothing, jewelry, pottery, accessories and a variety of fine art pieces all presented in an eye catching way and sold at reasonable prices. It would also be a venue where people in the community could take a variety of DIY classes given by the resident artists who would offer instruction in their individual skill set. Finally, FUNKY STUFF would be a place who believed in a serious commitment to giving back to the local community and who regularly supports local charities and fund raising events with a special eye on animal causes, Cari's personal passion. 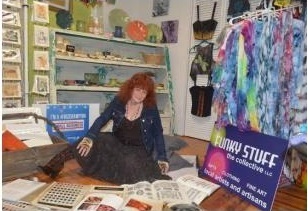 FUNKY STUFF started out in the Old pin Shop in the Oakville section of Watertown in Nov. 2015. Cari began creating the footprint she dreamed of. Then something amazing happened! 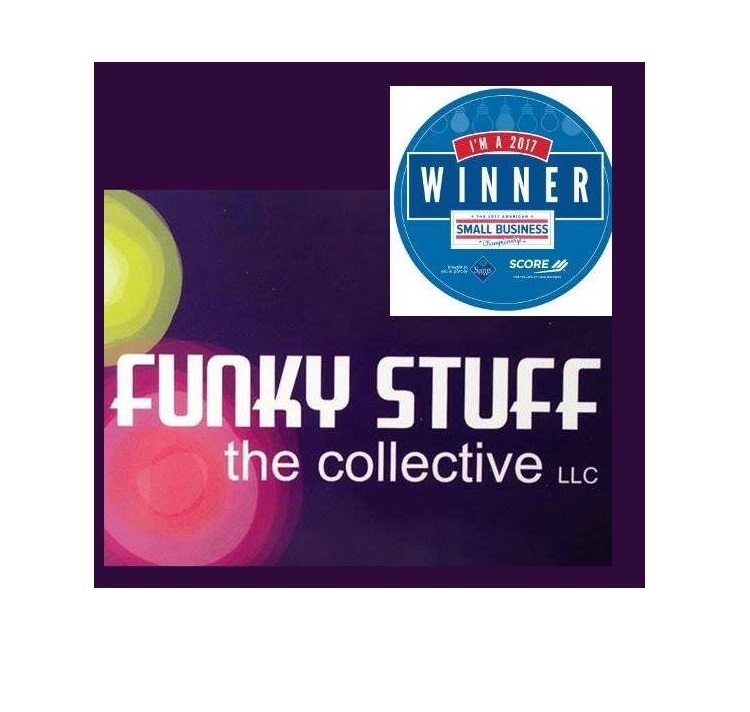 FUNKY STUFF was chosen as one of the Nations 102 small businesses to be honored as a SCORE SMALL BUSINESS CHAMPION of 2017. The humbling and opportunity took Cari on a whirlwind year of business seminars to both Dallas for a 4 day symposium, and later in the year to Washington DC. The store was awarded a cash prize which helped to facilitate a move to its current location on Main St in Watertown. FUNKY STUFF was again honored to be awarded the Northwest Ct regional SCORE SMALL BUSINESS SUCCESS STORY of 2017. Thanks to some elbow grease, a huge support system and the recognition and guidance from SCORE, this crazy dream is becoming a reality! With chairs and tables, and other infrastructure purchased with our win, and a brand new location offering more space and big frontage FUNKY STUFF has been in a growing phase , offering those DIY classes, doing regular “paint nite” events both in house and on site at other local venues. We continue to offer a wonderful variety of locally made items in the retail side.